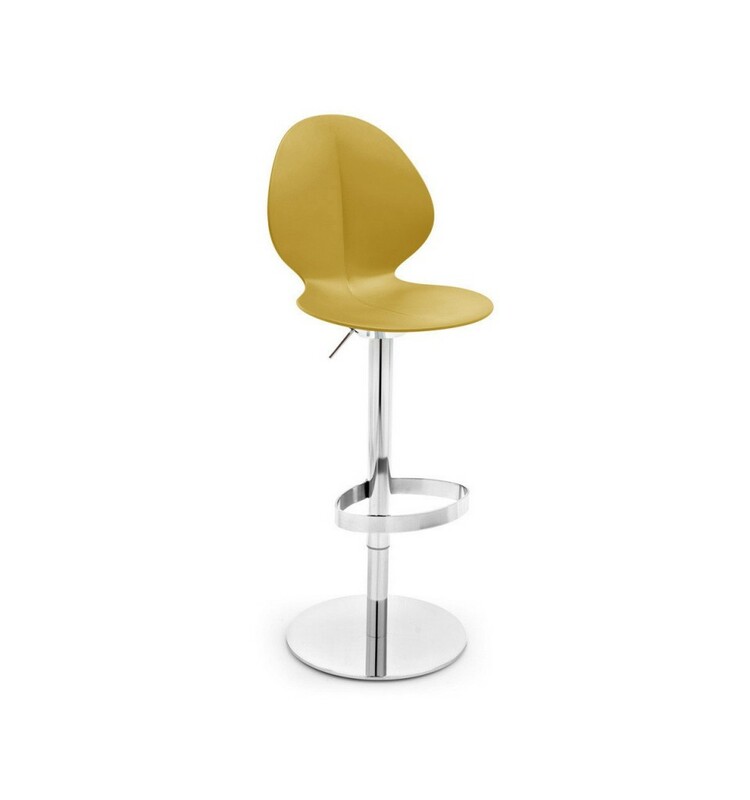 BASIL model stool, shell in polypropylene with a sophisticated design and metal base with gas-lift. 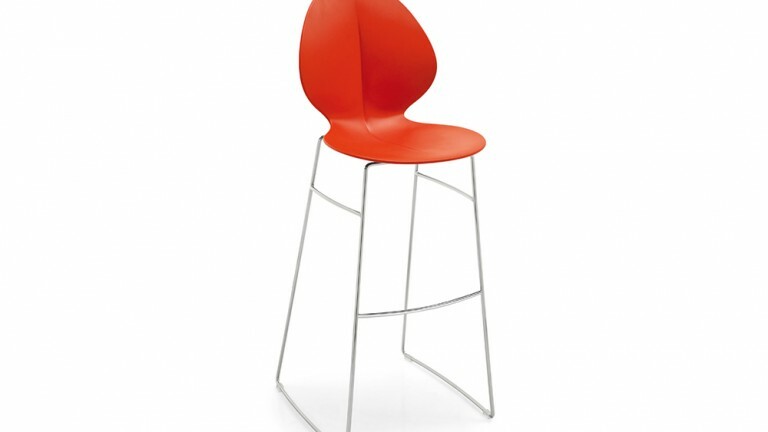 The shell of the BASIL stool is made from 100% recyclable plastic material. Its shape evokes the form of a basil leaf. The central ribbing becomes at the same time the structural and decorative theme of the product. 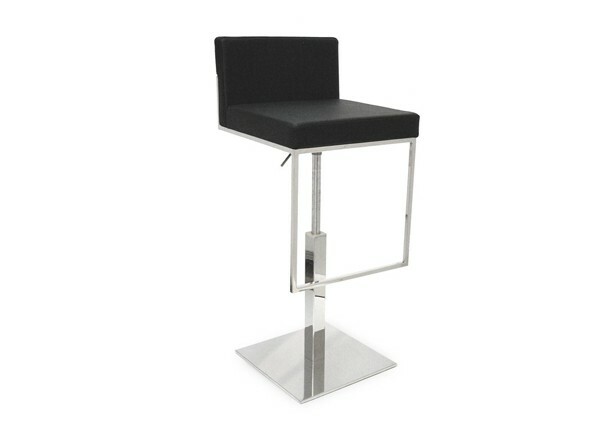 The seat swivels and is adjustable to various heights thanks to the gas-lift mechanism. Oval footrest. 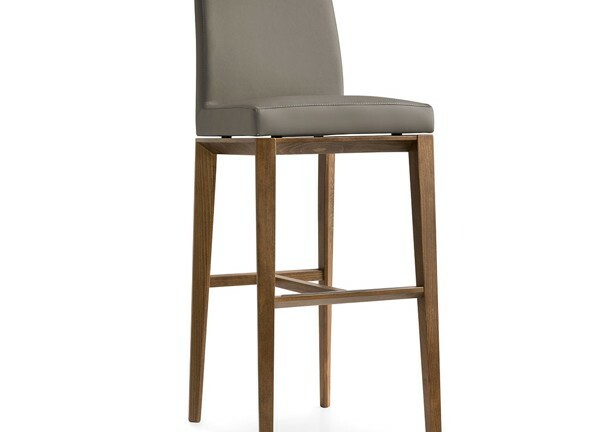 Ideal in the kitchen or in a wine bar, the BASIL stool is available in various colours and finishes. Choose the combination you prefer.